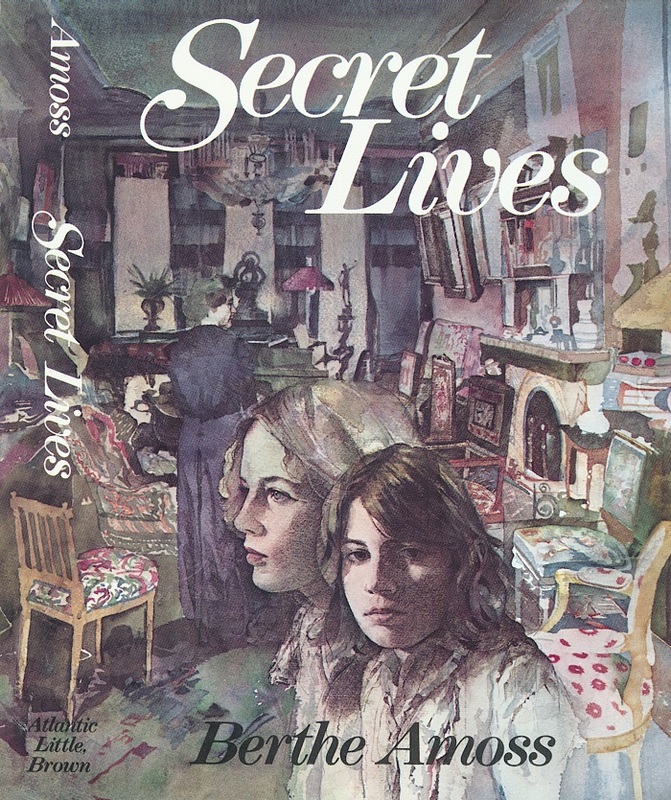 Secret Lives is a young adult novel by the New Orleans writer Berthe Amoss, who purchased and owns this art. Having read that her home was destroyed by Hurricane Katrina in 2005, I wondered at the fate of her home and my fragile painting. In 2015, Amoss contacted me to tell me that, though she lost her home (and later rebuilt it), the art survives to this day. What I remember best about the photo shoot for this piece is that my then-toddler children kept running around the two young women as they modeled. The day was zany, but one functions amid happy chaos! The book itself is melancholy, concerning a young girl's search to understand her deceased mother. Thus, for the cover art I drew a more ominous space than our cheery living room where I took the photos.